Finding an intricate novel in today’s bombastic book industry is a rare feat. 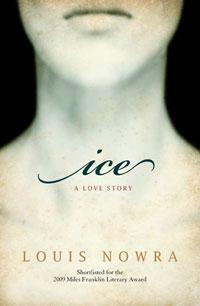 In Ice, Louis Nowra has not only written such a novel; he has interwoven two parallel narratives, where characters, themes and settings all inextricably link back to the one theme. Ice follows the life of Malcolm McEacharn, one of two men responsible for, among other things, the towing of an iceberg from Antarctica to Sydney in colonial times. Alongside Malcolm’s business ventures, we see a portrait of a man, frozen from the time his young wife dies early in their marriage. The second narrative follows a McEachern biographer in a coma in present day Sydney, and her bereft husband’s hopes to resurrect her by retracing her research. In Malcolm McEachern, Nowra has created the perfect conduit for longing and obsession. Emotionally dead, he must continue searching of the life he has lost. The comatose biographer is similarly frozen in time, with the responsibility for her awakening left to her grief stricken husband. First and foremost, Ice is about obsession, be that romantic, or the quest for success, fame, or riches. At times oppressively sad, the novel is never maudlin or melodramatic. Instead, it simply weaves a tale of longing, both haunting and lyrical, while redefining our own definitions of love and devotion along the way. Highly recommended.